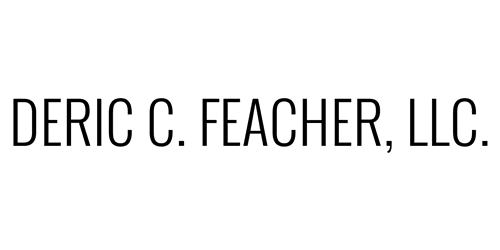 Deric C. Feacher, Founder and CEO is regarded as one of the premier motivational, inspirational, informational, and transformational speakers of his time. Recognized as a man who has used obstacles as opportunities to succeed; he is a keynote speaker, lecturer, presenter, motivator, and inspirational coach that engages individuals and/or groups to go from mediocrity to excellence. The Messenger Deric is married to the former Keshia McCloud and they are the proud parents of one son. Deric is a Life Member of Omega Psi Phi Fraternity, Inc., Life Member of the Bethune-Cookman University National Alumni Association, Life Member of the Florida Agricultural and Mechanical University Alumni Association, Executive Board of the Greater Winter Haven Chamber of Commerce, Chair of the United Way of Central Florida Board, Winter Haven Leadership XXIII Graduate, Leadership Polk III Graduate, Winter Haven Chapter of NAACP, Board member of the Polk State College Corporate College, National Forum of Black Public Administrators, Florida City and County Managers Associations, Samson Masonic Lodge PHA, International City/County Managers Association, Former Director of Florida American Legion Boys State and others. The Messengers brief humbling beginnings at 131 Avenue T. has now made his success as a Government and Executive Consultant so much better, but he never forgets the life lessons that were provided by his greatest inspiration. That inspiration is the woman who would eat mayonnaise sandwiches, work two jobs, take classes and teach her three boys how to be men. His mother Julia, would pull her resources together to move her three sons into a new home and make sure they were able to have access to whatever they needed to be productive and successful. As a John C. Maxwell certified speaker, trainer and coach, Deric has received rave reviews on the dynamic, fresh speeches and presentations that have lead him to speak in major arenas, churches, schools and stadiums throughout the world. This Elks Oratorical Contest Winner and former National Performer for PRIDE World Drug Conferences is in high demand throughout the state and country as the master orator and prolific messenger who electrifies and energizes people to succeed and reach their full potential. Through his certification from the internationally recognized leadership expert, speaker, coach and author who has sold over 19 million books John C. Maxwell, he can offer the following programs: Becoming a Person of Influence, Everyone Communicates, Few Connect, How to be a REAL Success, Leadership Gold, Put Your Dreams to the Test and 15 Invaluable Laws of Growth. Bethune-Cookman University in Daytona Beach, FL where he received his undergraduate collegiate education with a degree in Political Science is where he decided to start Deric C. Feacher, LLC D/B/A The Messenger Speaks. Deric will EDUCATE, ENLIGHTEN and EMPOWER you to take every minute and see your vision through a mountain.